At this time of year, the fields around Fearnan are full of young lambs, some taking tentative early steps and others careering round in energetic gangs, exploring every corner of their field. Many of these lambs were born in the Ewetopia lambing sheds on the Duneaves road, and it seemed an appropriate time to visit sheep farmer Alastair Kininmonth. 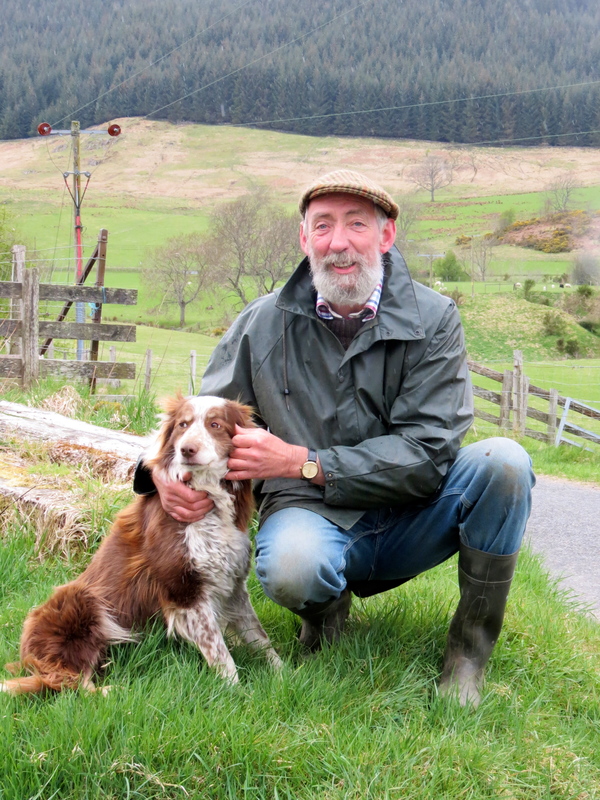 Alastair’s family have been farming outside Fortingall since November 1914, and the story of how they came to this piece of land reflects part of the complex history of land management and ownership in Scotland. Alastair’s great-great Grandfather, Hugh McPherson, was part of the Highland Clearances, and was ‘cleared’ to Smirisary, a settlement near Glenuig and in the parish of Moidart on the west coast. From there he walked to Glen Lyon, a distance of over 120 miles, and came through the Glen, knocking on farm doors looking for work. He was taken on as Horseman (equivalent to the modern day Tractor Man) at Culdaremore Farm at Lyon Bridge. Settling here, he met his wife who was the daughter of the cobbler at Artrasgairt village, at the foot of the Glen. Under new legislation introduced at the beginning of the 20th century his son, John, was to become one of the first smallholders in Scotland. At this time, there was considerable concern about the exodus of farmers from rural areas to towns, and about the resulting deterioration in the land. In 1911, the Liberal government passed legislation that meant that smallholdings could be created on privately owned farms. The arrangements were facilitated by financial help from the government, and with the new holders being granted security of tenure and having fair rents set by the newly created Scottish Land Court. Three smallholdings were created in this area – the McPhersons at Tynayare, the Campbells at Duneaves, and a third one at Kinnighallen. By the end of the Second World War, the three tenancies had come together and Alastair’s father was the first to farm all three. As a boy and young man, Alastair worked with his father on the farm and spent two years at agricultural college. He returned to the farm brandishing his certificates and eager to apply his new knowledge. However, his first attempt to impress his father with recommendations for improvements was met with “My grandfather did it this way, as did my father, as do I, and this is the way you’ll do it, too!” And so he did – at least until he took over the farm in 1990. 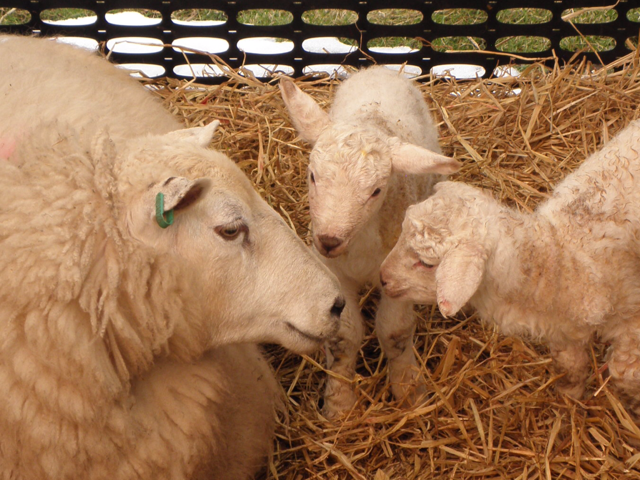 Alastair has a flock of some 500 ewes, which produce around 750 lambs a year in the Ewetopia lambing sheds. 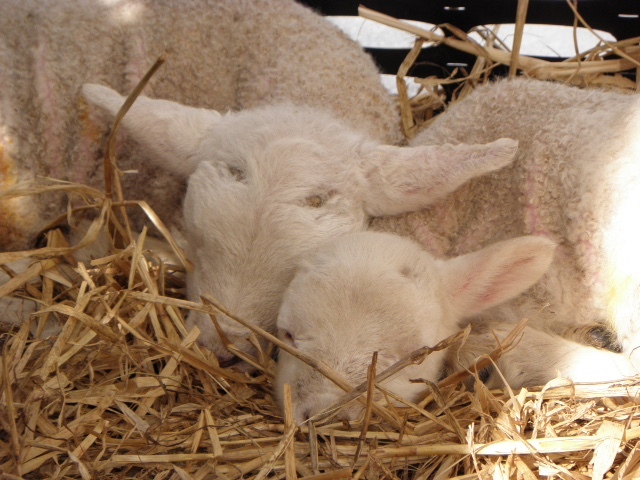 These days, there’s no need to try to guess how many lambs will be born – the ewes are scanned during pregnancy and each one is colour-marked according to the number of lambs she is carrying. 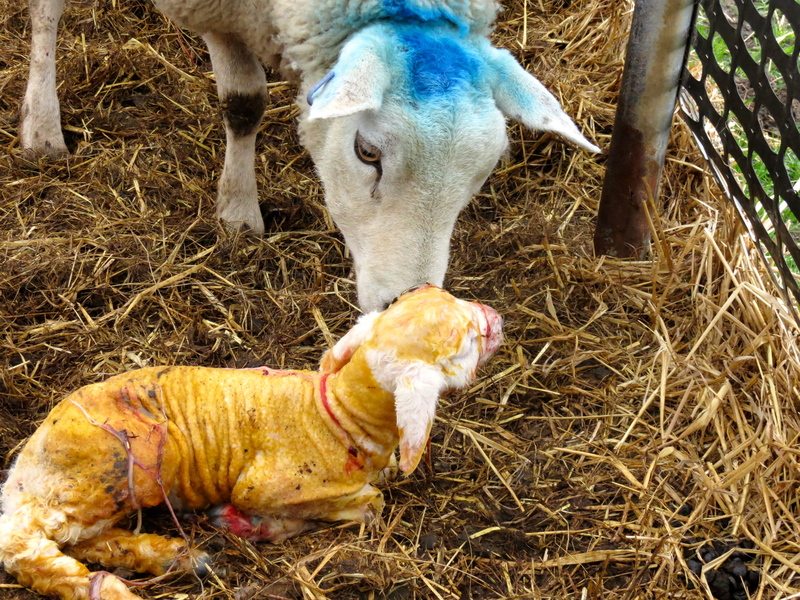 This not only helps with planning, but they know exactly what to expect when a ewe goes into labour. The flock is described as a closed flock, which means that Alastair breeds his own replacements and keeps between 100 and 140 lambs each year. This reduces the risk of disease, and new blood is introduced through rams that are bought in. The tups are also tested to ensure that they will sire lambs, but this process has not proved fail-safe and so Alastair now puts two tups to the ewes. 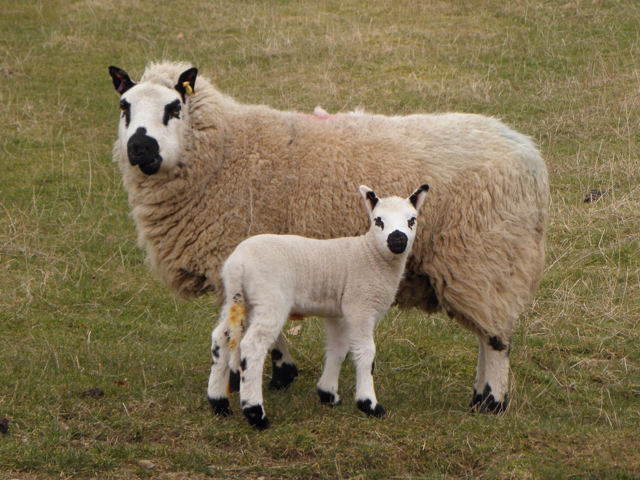 The lambs that are not kept go off to Stirling Market when they reach 40 kilos in weight, and the lamb meat that is sold from the farm door is slaughtered at Dunblane and returned in half or whole lamb sealed packages, in accordance with legislation. Alastair firmly believes that the flavour of the lamb is improved when the sheep are not stressed and are kept quiet and well handled. He has always had an interest in different breeds of sheep and has tried a number of pedigrees over the years – some more successfully than others. The most noticeable as you pass the fields are the Dutch Zwarbles: black sheep with a white blaze on their faces. Technically speaking, Alastair lives (just) outside the Fearnan boundary, but the village did play an important role in his life as he met his wife, Angela, at a Barn Dance at Boreland Farm. Alastair was the Compere at the Barn Dance that evening; introducing the dances, encouraging people to do party tricks and making sure that everyone who wanted to dance had a partner. He spotted Angela, who was on holiday at Boreland, sitting out one of the dances, and went to offer his services as dance partner. Fast-forward to the present, and last year they celebrated 25 years of marriage! 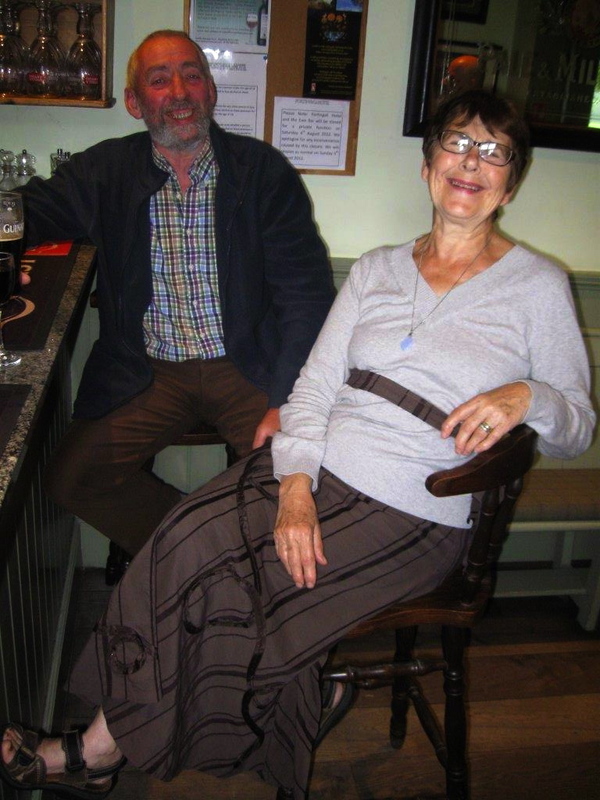 Angela is a regular supporter of the FVA Coffee Mornings and, as a couple, they organise the Fearnan Bowling Club – more than enough to be regarded as Honorary Members of the FVA! 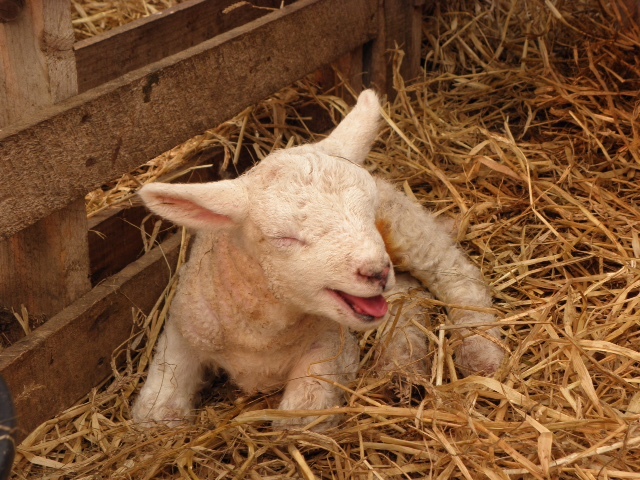 (Many thanks to Peter Mckenzie for letting us use some of his great photos of Ewetopian lambs.